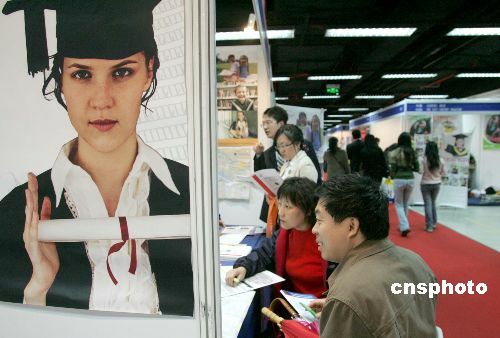 The suspects swindled more than 30 people across the country, including some senior executives of big enterprises, by selling them fake doctorates or master’s degree certificates from foreign universities between 2007 and 2010. They were charged with fraud, according to prosecutors from Beijing’s Haidian district. During Monday’s trial at the people’s court of Haidian district, the suspects accepted the accusations and confessed, but disagreed on the amount of money that had been defrauded, Zhou Yuanqing, an information official of the court, said after the trial. “The trial lasted for about three hours, but the judge didn’t impose sentences,” Zhou said. But considering that Liao and Li confessed and reported other suspects’ wrongdoings after being arrested, the prosecutors suggested that the court give them lighter punishment. “The punishments will be different in accordance with the suspect’s roles as they committed the crimes,” Zhao said, adding that defrauding money by making fake certificates has become common recently in China. “Now, many people pursue seemingly fancy degrees or the surface value of certificates while ignoring the real value of education, and this creates opportunities for wrongdoers to commit the fraud,” she said.